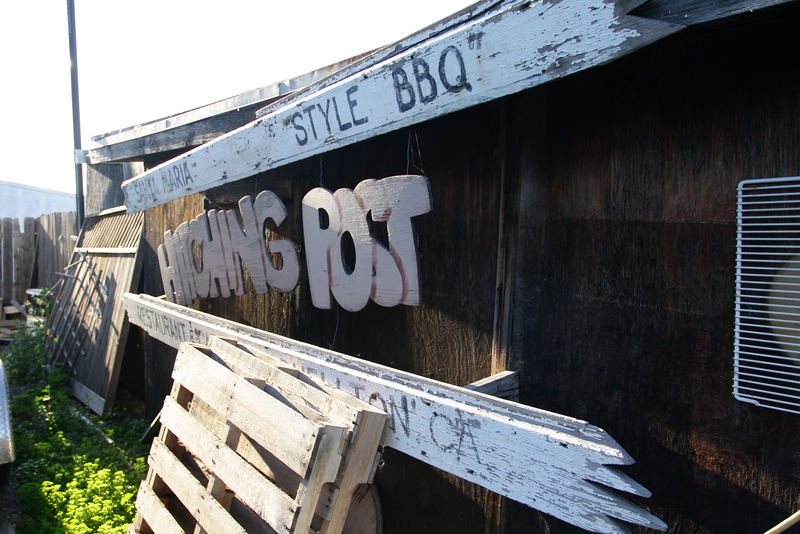 Hitching Post 2 is nice little family owned steakhouse located along the central coast of California. If you hadn’t already heard about it (from a recommendation or the film Sideways), you’d probably never go there. The charming city of Buellton that it resides in is not on the main picturesque Highway 1 route like its fancy sister city Santa Barbara. The sign for the restaurant is pretty unassuming, probably like most restaurant signs you see along the highway that you never give a second thought to. As a matter of fact, I only heard about this place by a series of coincidences that I’m just going to chalk up to the worlds aligning for the greater burger good. Jamie, one of my best friends in the world, invited me to go camping last year. 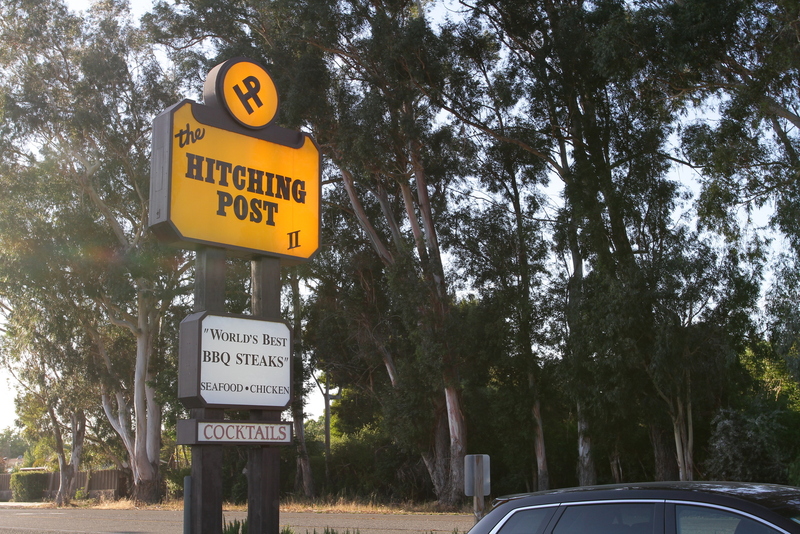 On that trip Rich and Evan had heard about my little burger blog and recounted the tale of their visit about this out-of-the-way place in the wine country where they had a serious burgasmic experience. They were careful not too over hype it, but I’m pretty sure the phrase “best burger I ever had” was muttered a few times after a couple of beers :) As a certified burger expert (well, not certified, but I’ve eaten a pretty impressive volume in my time), I tend to take phrases like “best burger” and “must try” with a grain of salt. There are lots of different taste buds out there, so even though I take every new burgerlead seriously, I try not to get my hopes up. This place is pretty out of the way, so I wasn’t sure when I’d be able to make it, but I filed it away in my burgernotes. 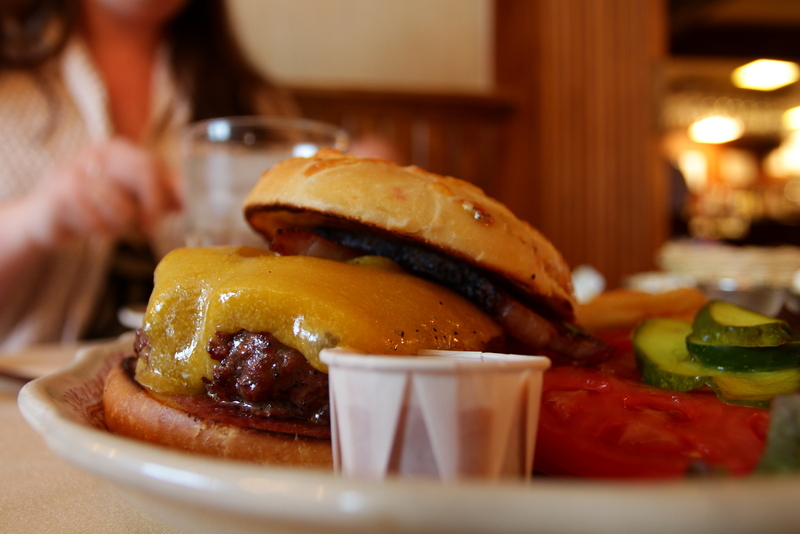 I’ve been known to make a road trip for a good burger, so I knew I’d get there. Fast forward a few months and my wife asks me to plan a road trip down to Santa Monica and up the Highway 1 coast for our 10th anniversary and burger fate intervened. Spoiler alert. 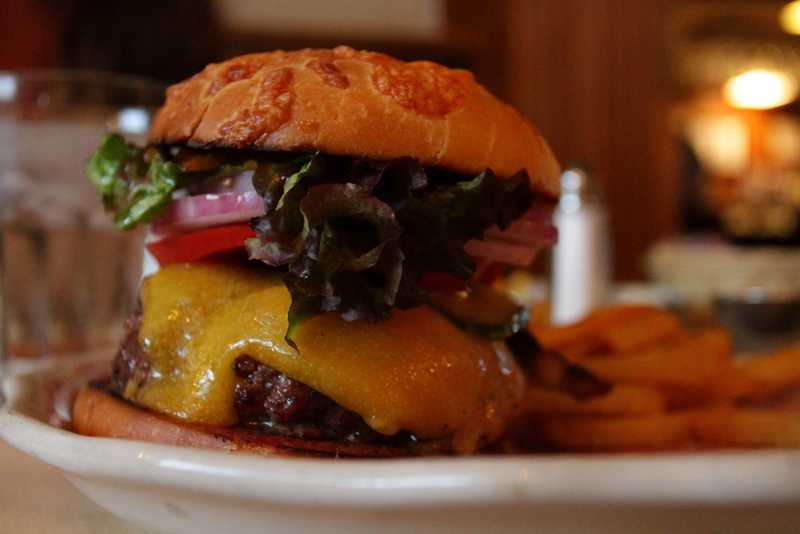 This burger is one of the best things I’ve put in my mouth. 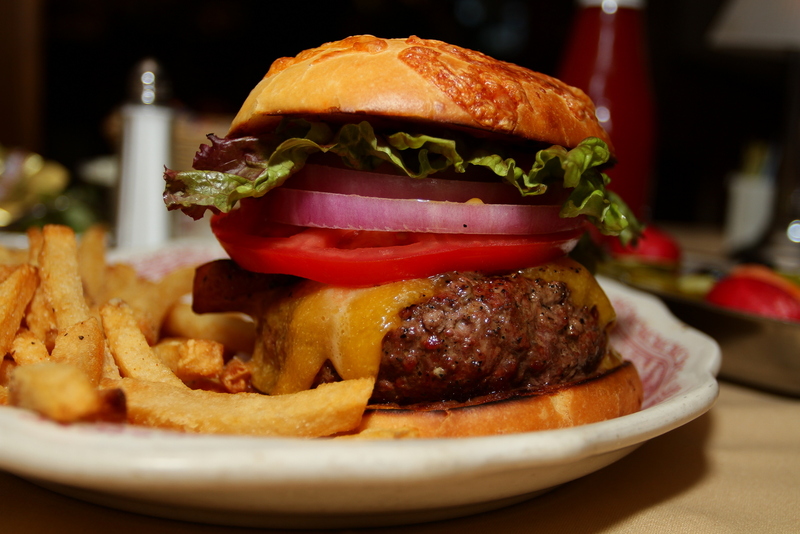 Any true burger aficionado will tell you that one of the biggest things that separates a good burger from a freakin’ great burger is the quality of the beef. So let’s start there. 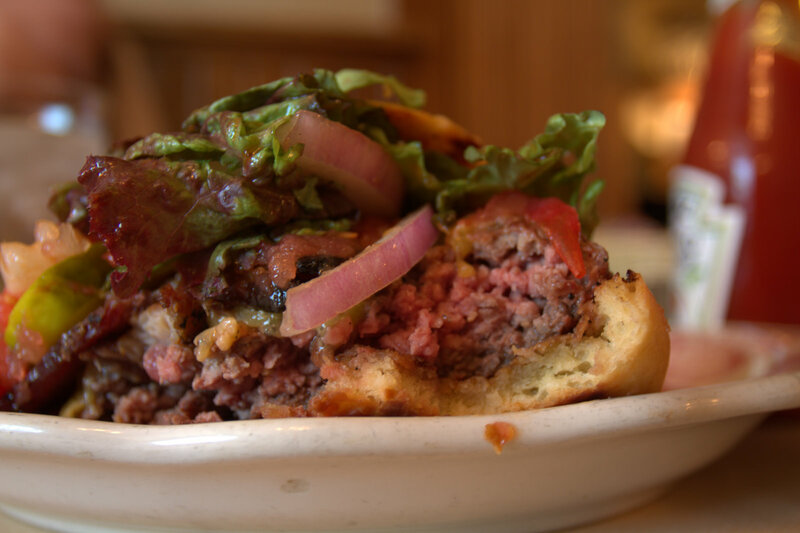 You can actually only get the Hitching Post Burger on Mondays, Tuesdays and Wednesdays (in the bar section) because they care so much about the beef quality that they use the scraps from their Midwestern sourced, corn-fed, high quality steaks that they cut in-house for the main menu for the rest of the week. Forget the burger standard chuck. 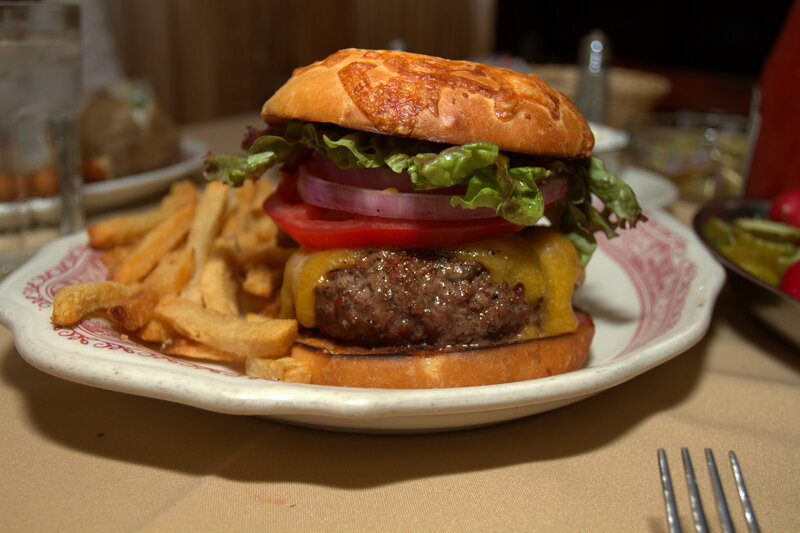 There are premium cuts of filet mignon and rib eye freshly ground up inside the sizable hamburger that is the foundation of this masterpiece. 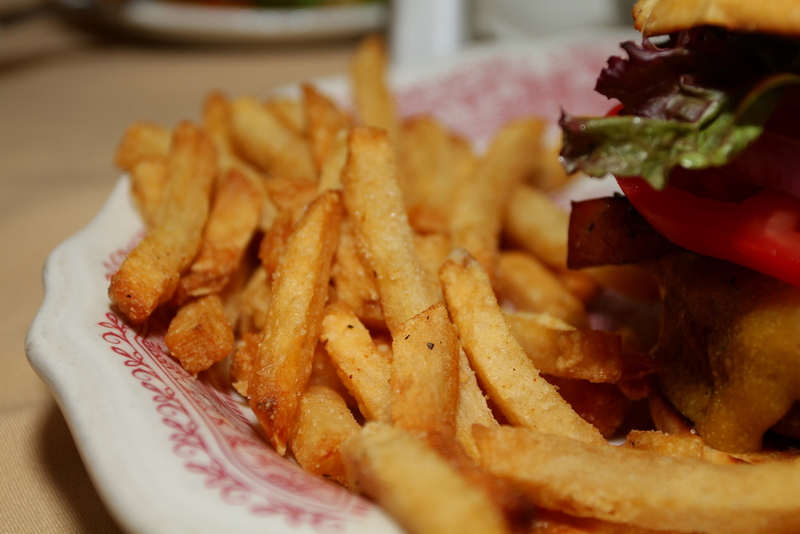 Each burger gets sprinkled with magic dust (really, that’s what they call their custom spice mixture!) and then grilled to order over an oakwood fire. The result is a nicely charred outside crust embedded with that smoky flavor that blesses your nose almost as much your mouth. The inside was a true medium rare and flowing with juices. 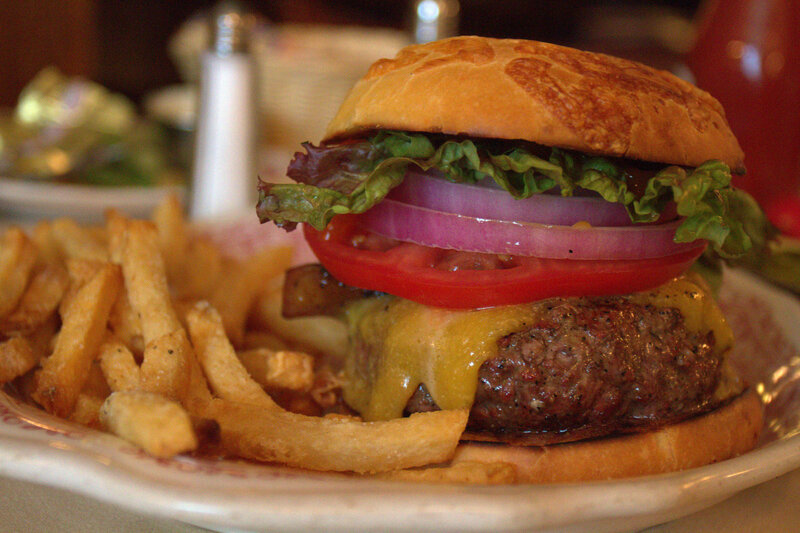 The hamburger sits on a cheese bun that is freshly baked in house. 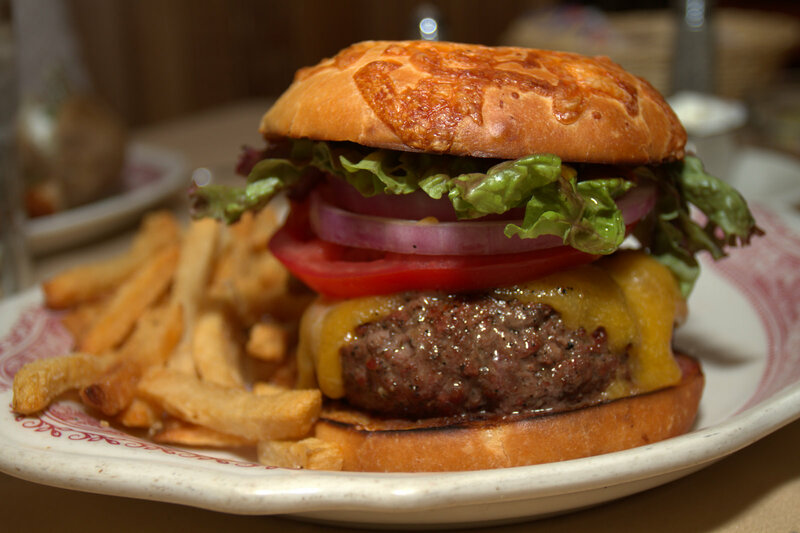 A lot of people overlook the importance of a great bun when thinking about the perfect burger, but folks at Hitching Post 2 took the time to get it just right. This is bakery quality bread that handles the meat of the sandwich like a champ down to the last bite. 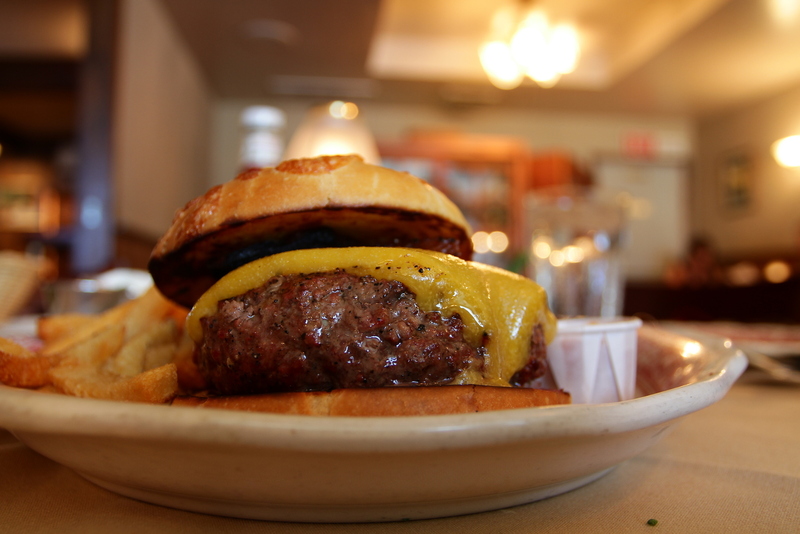 The cheese in the bun compliments the cheese on the burger and actually adds to the experience instead of just being a placeholder afterthought that keeps your hands off the meat. The LTO (lettuce, tomato, onion) offering was pretty standard. Crisp red onions, leafy red lettuce and a nice tomato slice or two. 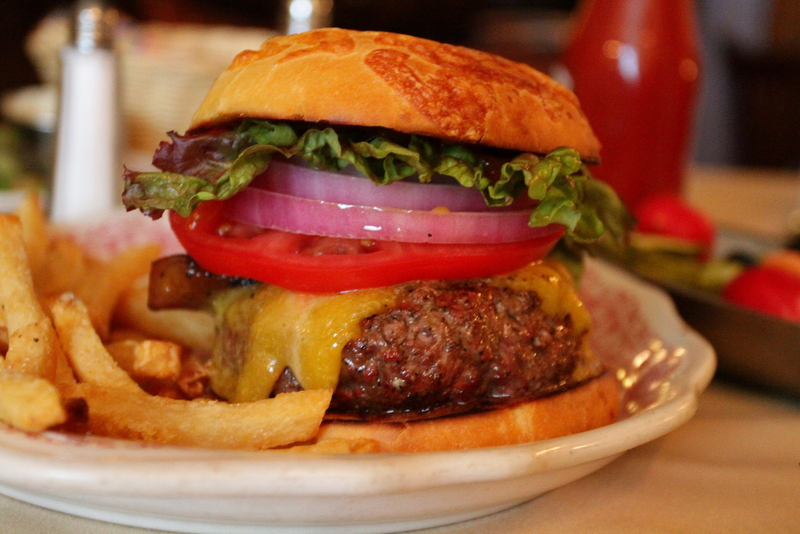 I’ve grown to love pickled red onions on burgers, but on this burger, it totally wasn’t needed. The extra flavors would’ve tried to steal the show from the main star: the beef. 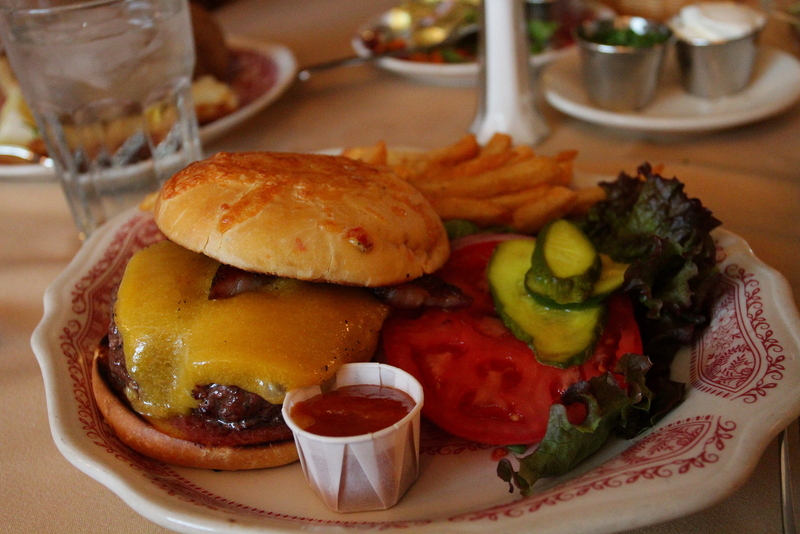 The cheeseburger comes with a side of house made mango ketchup. I was a little hesitant to try it on the burger at first. When presented with a perfect steak, the last thing you want to do is reach for a bottle of A-1 to drown it. After tasting a dab, I added some to my final bites of the burger and immediately experienced a burger finale that was like the last 5 minutes of 4th of July. Flavor fireworks accented with citrus sparklers exploded up and down my taste buds. Burgasm. I feel like I’m gushing over this thing. There had to be some kind of negative. 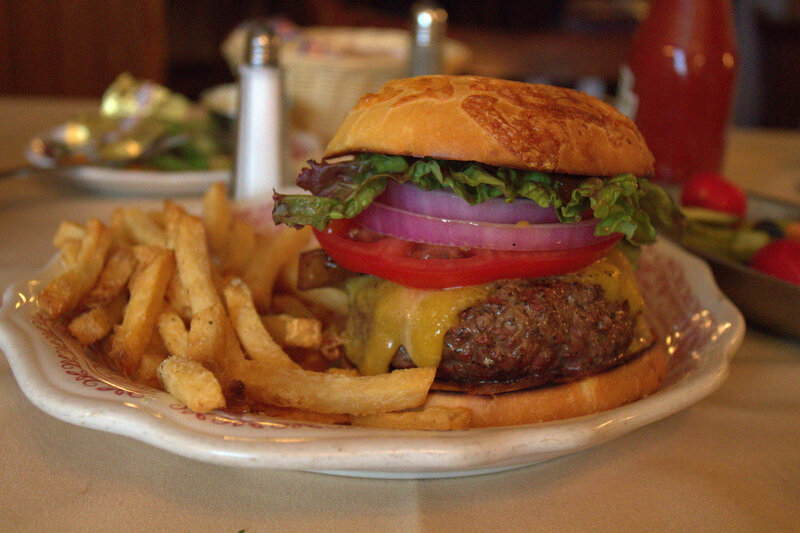 Thinking back, I’d have to say the worse part of the burger was the fries on the side. On the night I went, my fries were overcooked and brittle. Does that count? It’s gotta, because I tell you, this burger needs to be teaching classes at the university level on “How to be an awesome burger”. 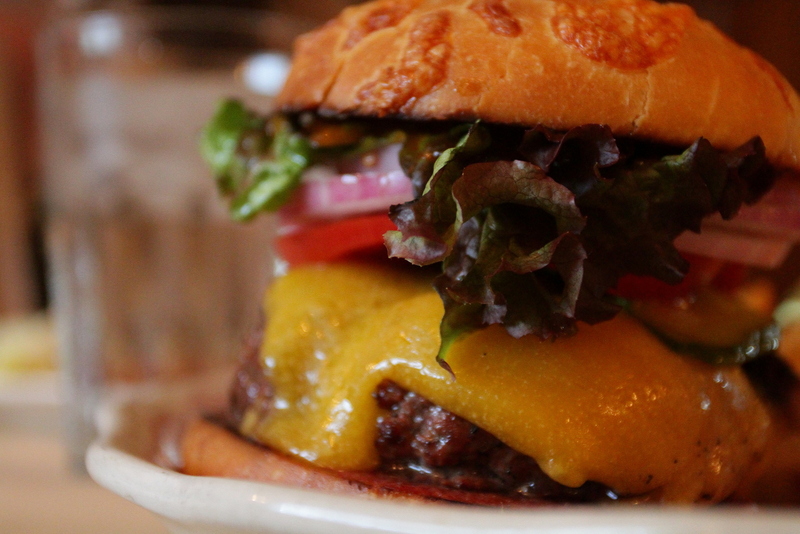 This burger should be the life coach of all the other up and coming burgers. 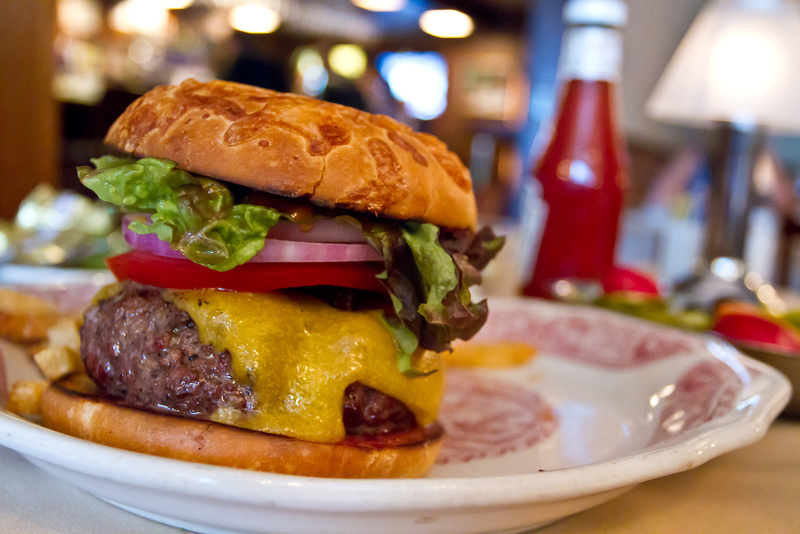 The bun alone could be a motivational poster worth hanging on the wall in the dorm rooms of young burgers across the nation. 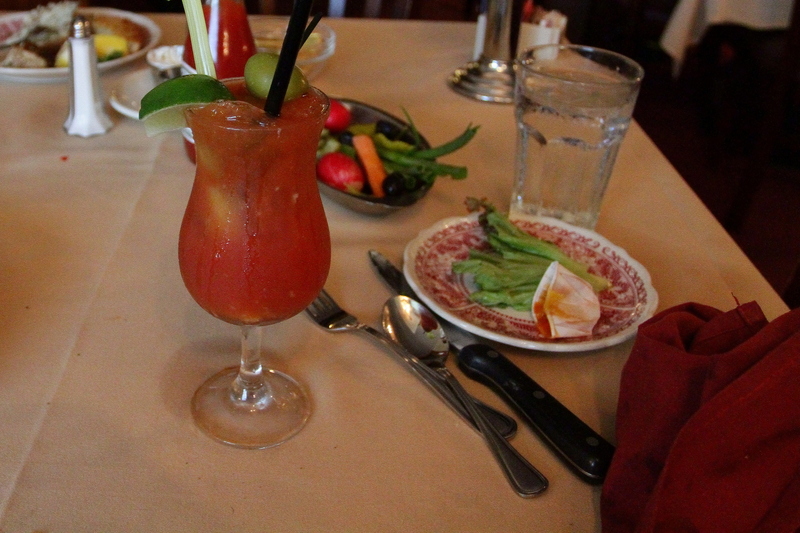 This is running long, so I don’t have time to tell you about the fantastic bloody mary I had with my meal or the bag of magic dust I bought to take home. 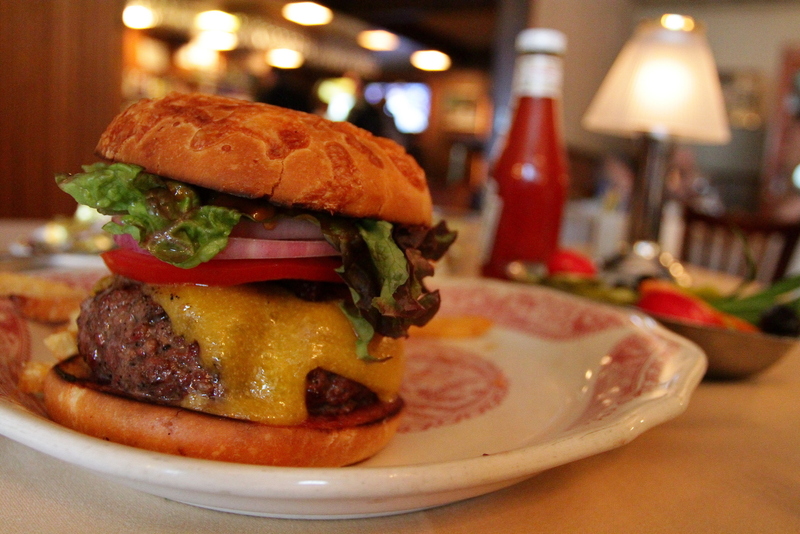 It suffices to say that this is a burger worthy of the burgerjunkies record books. If you’re in Santa Monica, Santa Barbara, Buellton, Los Angeles or anywhere in a 100-150 mile radius on a Monday, Tuesday or Wednesday (more if you’re like me), go get it. And the name “Yumminy Burger”? Iron Chef Cat Cora (@catcora) coined the phrase on the Food Network Show “Best Thing I Ever Ate” (watch the video). 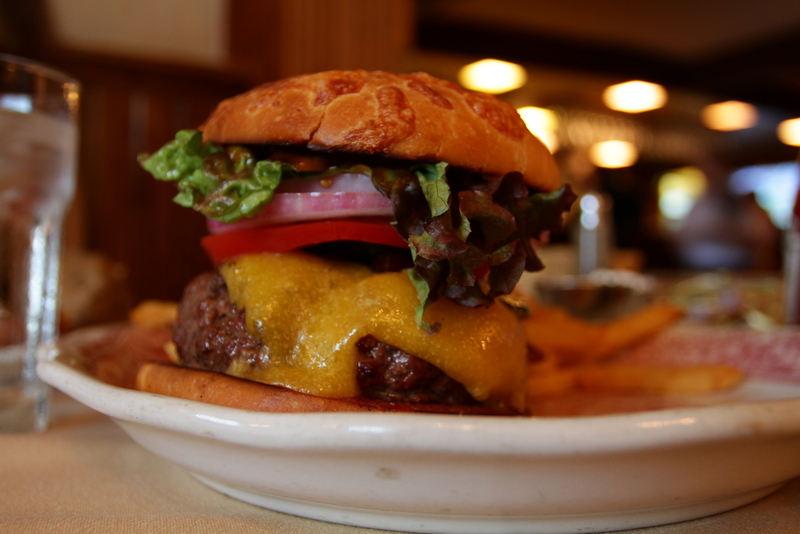 I often get asked “what’s the best BEST burger you’ve ever had?”. Although that’s still a tough one to say who gets top billing, this one is on the marquee every time. PS. 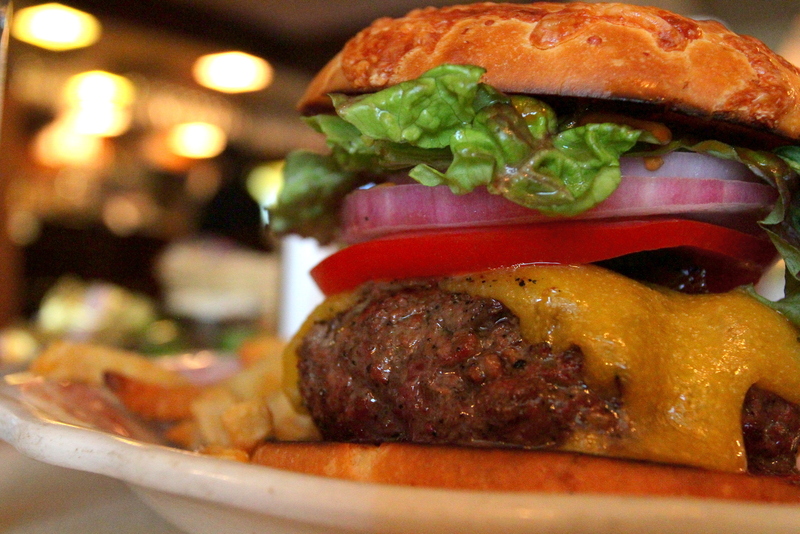 This burger is so good, it’s not even on the menu. You just gotta know about it. Now you know.